Seat belt webbing repair has never been easier and more affordable. Just follow our simple to follow steps to take off your seat belt and ship it directly to us. Once we receive it, our experienced and knowledgeable technicians will repair the webbing by replacing the full webbing with an OEM quality webbing fabric and send it back all within 24 hours. As an added bonus we also inspect the full seat belt and clean out the assembly mechanism so when we send it back you will know 100% that you have a perfectly functioning seat belt that is repaired like it's new! In addition to having your seat belt webbing repaired, you can also choose to change the color of the webbing to add so much life and beauty to the inside of your vehicle at no extra cost! Don't know if you need to get your seat belt webbing repaired? It's very simple. If there are any signs of wear at all, it's time to repair the webbing. You have to be 100% confident that your seat belt can take thousands of pounds of force if there is ever the unfortunate situation of an accident. 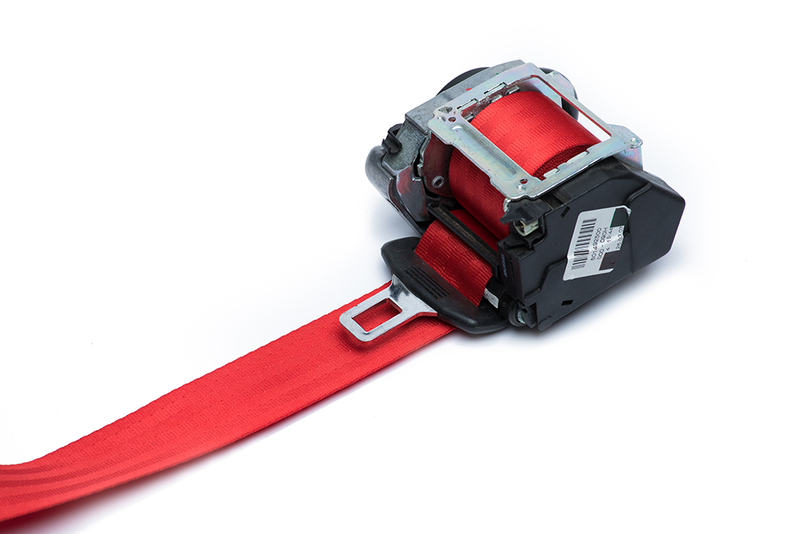 It's never a good idea to risk lives when it comes to your seat belt webbing, especially when we make it so simple and affordable to repair it! Let's get started with your seat belt webbing repair service today.